Southern Cross is the major transport hub in Melbourne. This is the central station for the suburban train network. 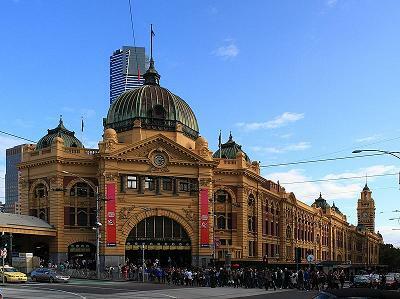 Over 100.000 people use Flinders Street Station each day. It’s located on the corner of Flinders Street and Swanston street. The Customer Information Centre is open daily from 7.00 – 19.30. Cafes, eateries are located on the concourse; ATM’s are around the train station. Melbourne’s public transport network is divided into two fare zones. Zone 1 covers the CBD and most inner suburbs of metropolitan Melbourne.